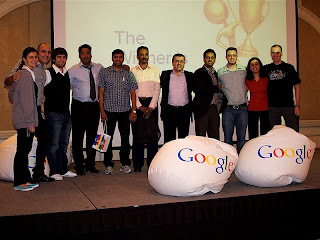 Four Months ago, we launched the Google for Agencies program in MENA. This program has been tailored for small and medium advertising, media,web hosting and web designing agencies operating only in MENA. 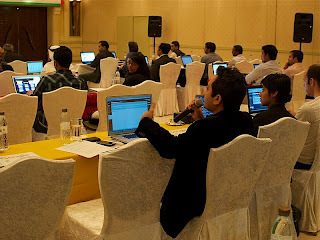 The participating agencies will benefit from a range of Live online educational sessions about AdWords, dedicated support from our expert sales team, coupons in the amount of 1000 USD along with assisting them in becoming Google Certified Agencies and hence, partners with Google in the Middle East & North Africa. 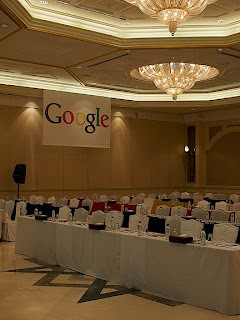 As an exceptional milestone of the program, we have organized an event " Google Thinks Agency!" In Dubai on the 4th of November, 2010. Sixty four agencies from UAE, Saudi Arabia, Lebanon and Kuwait were present during the event. The participants were offered sessions about various AdWords topics related to the Google for Agencies program and certification, Creating successful search and display campaigns, AdWords Tools, Optimization tips, and lastly but not least, Earning money with AdWords for a small agency! The attendees were tested based on the information they learned. It was amazing to see them enthusiastic and focused on creating their campaigns; nevertheless, it was a good opportunity for us to interact with them and grasp their concerns. By the way, a Nexus Android was Won by one of our participants. Congratulations to our contestant Mukesh! To check the pictures of the event, please visit the following LINK!